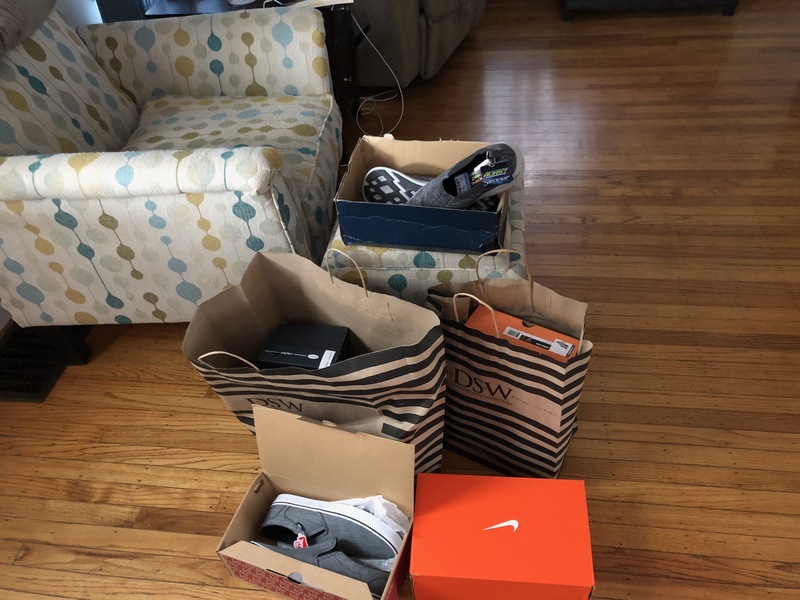 As we walked around Syracuse mega shopping, dining and entertainment complex Destiny USA, I reminded my dear wife Karen how the trusty blue slip-on Top Sider sneakers that have lasted me the entire previous two warm seasons were forming holes up top. She, too, needed good warm weather shoes for her soul and soles. We went to two stores. May 6, 2018 in Life. Burn those credit cards, Mark! That’s what they’re intended for, buddy. Yup, you got that right, Hook. I like this post, from top to bottom. At least you got sole. I agree that they have great deals and picks, Joey! I call it Da Shoe Wearhouse by the way. And they say men don’t like to shop! Finally Spring arrives for you Mark, with new sneakers too. Life is good. May they take you on many an adventure. I like to treat myself every now and again, yes, JoHanna.